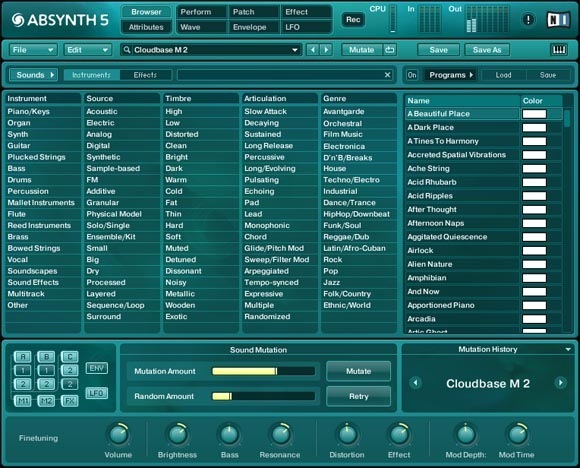 I’m sure Native Instruments wants me to open with discussion of realistic-sounding strings in Kontakt 4, but instead, I offer a loose visual representation of Absynth’s sound engine. Photo (CC) Joe Penniston. Native Instruments released a slew of soft synth updates today – thanks to everyone who sent this in. 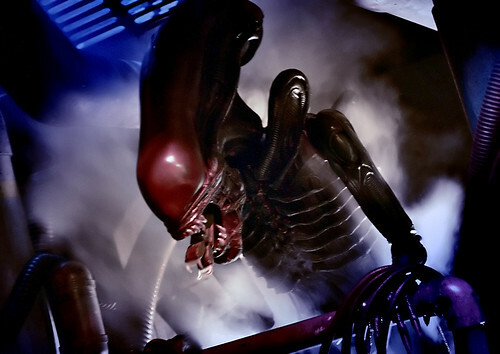 The big news is that Absynth, the alien-sounding synth that has become a darling of sound designers, gets a big update. But with so much to cover, here’s the in-a-nutshell version so you can grok it all in one place. The other big news – Komplete’s price is down to EUR499/US$559, with cheaper upgrade pricing to match. That makes the suite much more aggressive, and certainly as far as software instruments, as much as you can get in any one box, anywhere, for that amount of change. It’s not all good news, though – there were some cuts of instruments from the lineup. Correction: These products are in fact discontinued. 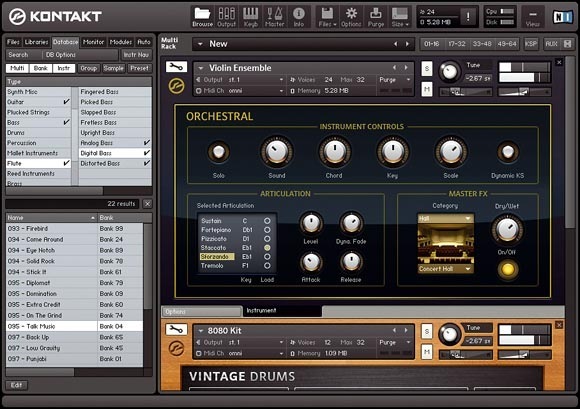 Pro-53, Akoustik Piano, and B4 II are being terminated, though unlike the previous vocoder and spectral delay, it sounds as though the replacement is effectively sample libraries in Kontakt. Disclaimer: I’m reading this from a press release and peppering it with what either might be considered my expansive experience and finely-honed instincts or, in technical terms, “randomly made-up speculation.” Less review, more fauxview. Expect more once we’ve used these in the flesh. A screenshot, revealing – actually very little. It’s still blue-green, the Absynth. I like my visual representation better. Supercomb filter for “physical-modeling-type” sounds – think exquisite new resonance. Cloud filter for granular-based modulation. Filter feedback paths for “gritty” “unpredictable” …well, you know, filter feedback. “Aetherizer” for breaking up and rearranging sound particles, apparently derived from granular models but implemented in an unusual way. More presets, in case you want a guide exploring the stuff above. Mutator for morphing presets based on musical keywords – an alternative way of navigating presets. Those new filters and processors sound really extraordinary to me. I have a small selection of “desert island” synths. Absynth might qualify for when you move to a different planet. Here’s a surprise. You see, Native Instruments only updated its flagship sampler to 3.5 as recently as July. That was no minor update, either, featuring 64-bit memory support (on Windows) and greater 32-bit memory (up to 32 GB on Mac), plus improved from-disk streaming, multi-core support, MIDI learn, and other enhanced features and compatibility. In less than a month and a half, they’re back to announce version 4. And it does sophisticated live convolution of samples. Somewhere, someone is thinking of realistic purposes for that. I’m thinking Absynth may have company on that alien planet. Authentic Expression Technology (AET) What? A process that mimics authentic instruments – with an obscure acronym to match? Is NI channeling Roland? AET isn’t quite like anything I’ve heard before, with a “phase-corrected convolution” based on an analysis of the original acoustic instrument sample. (In other words, it squishes your sample together with the analyzed behavior of a real-world instrument.) It’s a unique-sounding process, and one I’d love to hear warped to unusual sound design purposes – not just faking real instruments, but inventing new ones. Sample compression to save on resources – without losing audio fidelity or taxing the CPU, says NI. Multi Scripts for Kontakt scripting users. A new sound browser with “more musical” terms. Advanced cabinet, mic modeling: NI says they’ve applied latency-free convolution in order to get more precise models from their software. (Well, okay, digital processes inherently add latency, so let’s assume extreme-low-latency). Control Room mic + cabinet matching: Other guitar amp emulations do effectively this – there are some simple combinations in Apple’s new Logic 9, most recently. But NI says that, again, their technology is special, with phase-aligned studio mics for each cabinet and work by German guitar and recording guru Peter Weihe. Use the Rig Kontrol 3 pedal board as a MIDI controller with anything you like. That’s just the flagship; some updates apply across the range to other packaged versions of the Guitar Rig line, with different sets of features and hardware that are a bit too complex to compare now. For those keeping score at home, here’s what you get if you prefer the whole box. And those upgrading who felt burned in the past by the process, NI seems to be giving something back this time. All the way back to Komplete 2, you can upgrade for US$169, and Kontakt and Reaktor owners – any version – can Komplete themselves for US$339/EUR299 through the end of 2009. 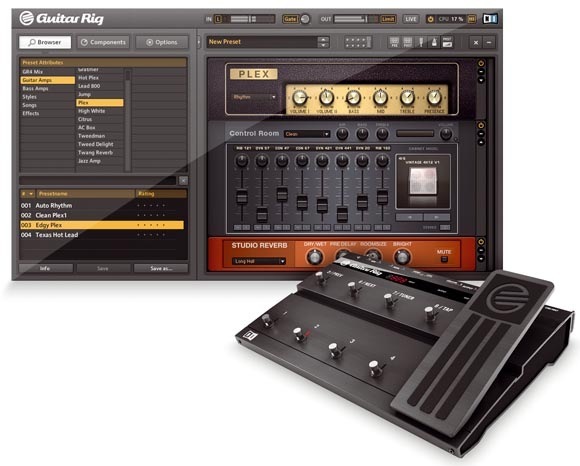 The full Komplete package is now just US$559/EUR499. These three products are in fact discontinued. Pro-53 was a bit out of place in the suite, it’s true, and looking (and sounding) long in the tooth; NI is generally more about creating new synths than emulating old ones. The B4 and Akoustik Piano, though, I think are going to be missed. Akoustik Piano has some great piano samples and controls that aren’t really replaced by the piano samples in Kontakt. And while the C-3 samples in Kontakt sound terrific, you miss out on the variations and sound design options in B4 II. I’m guessing someone may be passionate about that, seeing as how they’re handcrafting full-sized controllers for it with custom stops and DIY electronics just to play it. It sounds like the direction is toward sampling, though, so perhaps we’ll see some additions in the Kontakt sample library to compensate for these omissions. Meanwhile, if you’ve already got these products, you can hang onto them. I still think this gives Komplete an extra edge. And let’s not lose the real story here – real time convolution and crazy filtering in Absynth. I’ll sleep on that. Oh yeah, and iPhone apps? Cool, but when you want to put more supercomputer-style processing on your tracks, your desktop computer is still your friend.